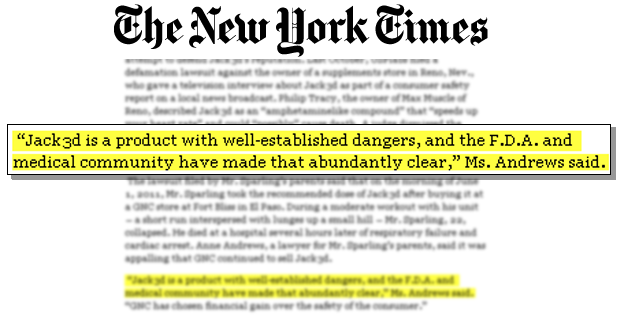 The FDA has issued multiple safety alerts over the last few years regarding dietary supplements containing DMAA, which is also known as methylhexanamine, 1,3 dimethylamylamine, and geranium extract and is the main active ingredient in products such as Jack3d, OxyElite Pro, Hemo Rage Black, Creafuse, and many other dietary supplements. In April 2013, the FDA warned consumers not to use products containing DMAA due to the risk of serious cardiovascular injuries and death. To date, the FDA has received over 100 adverse event reports involving DMAA. DMAA constricts arteries and blood vessels, increases heart rate, and can elevate blood pressure. Using DMAA can lead to cardiovascular problems (arrhythmias, chest pain, heart attack, cardiac arrest), seizures, heat stroke, kidney failure, liver failure, rhabdomyolysis, loss of consciousness, tremors, headaches, anxiety, and other neurological and psychological conditions. These serious—and sometimes fatal—safety risks prompted Eli Lilly, the pharmaceutical manufacturer that first developed the drug, to remove DMAA from the market in the 1980s. 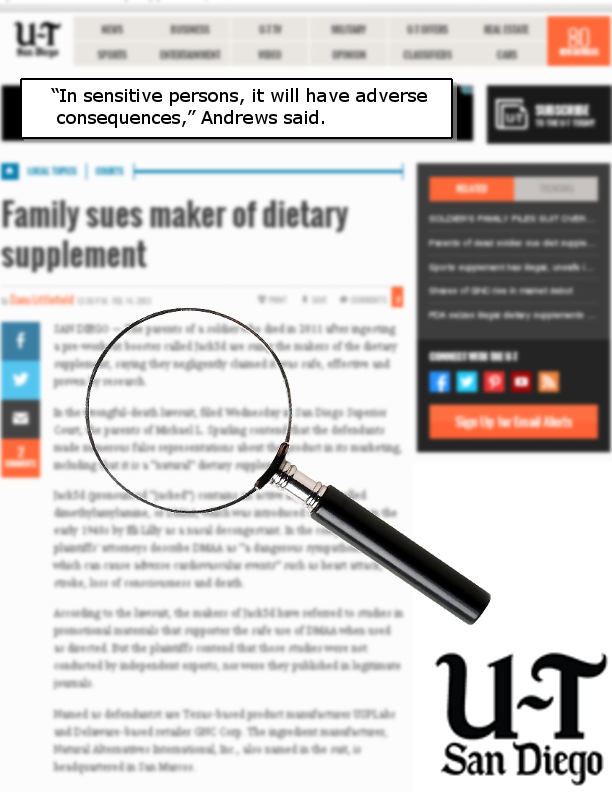 Health authorities in at least seven countries have banned dietary supplements containing DMAA. View the articles to the right for more information. The Army is investigating several dietary supplements – including Jack3d and OxyELITE Pro – after two U.S. soldiers died from heart attacks during fitness exercises. The Defense Department removed these and all the products listed above containing the same active ingredient – DMAA – from all military bases. The Australian regulatory agency: Therapeutic Goods Administration (TGA) has also prohibited the substance. It is unclear at this point what action the FDA will take. The active ingredient DMAA (dimethylamylamine) is promoted to increase workout energy and efficiency. Manufacturers claim DMAA is found naturally in Asian geraniums despite evidence to the contrary. 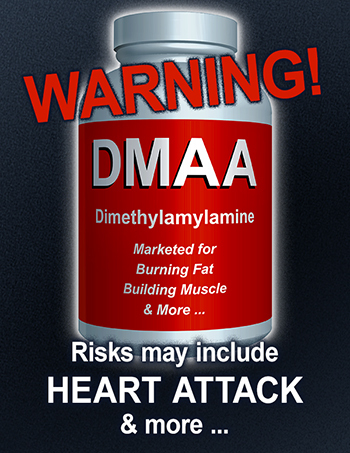 In fact, DMAA is a dangerous, synthetic additive. Medical literature from the 1950s discovered the toxicity of DMAA. If you or a loved one used a DMAA product and suffered from any of the injuries mentioned or other side effects associated with this product, you may have a claim.